Dr. Sabreen Al-Reemawi is a distinguished Dental Surgeon who joined Thumbay Dental Hospital, Ajman with many years of experience and training. She received her DDS degree from Ajman University of Science & Technology (AUST). She also got the Italian fellowship in LASER DENTISTRY, the diploma from UNIVERSITY OF GENOA for laser dentistry. (Al Ehsan Medical Charity Center/Ajman)(2009 -2013), and worked as a clinical supervisor and lecturer assistance for dental surgery and prosthodontics in Ajman University. 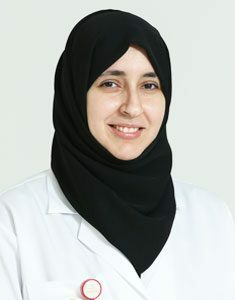 Currently, she is working as a Dental Surgeon, at Thumbay Hospital/ Ajman, and also assist clinically the fourth year Doctorate of Dental Medicine (DMD) students of Gulf Medical University, Ajman.